Police spokesman provides a perspective on the preparations for the opening of the American Embassy. 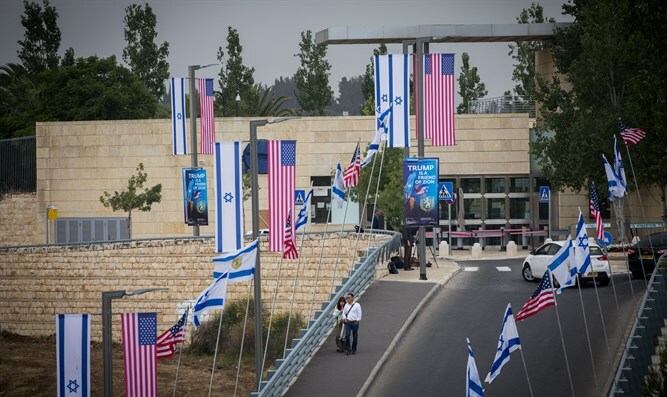 The defense establishment is preparing for the opening of the US embassy in Jerusalem. "Israel Police is beefing up its presence around the city, with 1,000 officers tasked with providing security for the embassy opening," spokesman Micky Rosenfeld said. "Forces include anti-terrorism units, undercover officers and paramilitary border police, with special attention being paid to Arab neighborhoods near the new embassy site," he added.